Pakistan Tehreek-e-Insaf (PTI) chief Imran Khan has asked PML-N President Nawaz Sharif to leave politics after Supreme Court’s judgment in Asghar Khan case. Addressing 11th International Cancer Symposium here in Lahore on Friday, Khan slamming PML-N government said the party was formed with the support of Inter-Services Intelligence (ISI), adding that Sharif’s party will not be able to form government in the coming elections. 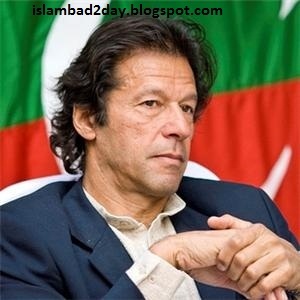 Imran rejected the allegations of getting the support of ISI. He vowed to quit politics if anyone could prove he had taken money from ISI. In response to a question regarding the coming elections, he said the elections will be held in time. He praised the role of judiciary, adding that PPP was suppressing the freedom to protect its president.